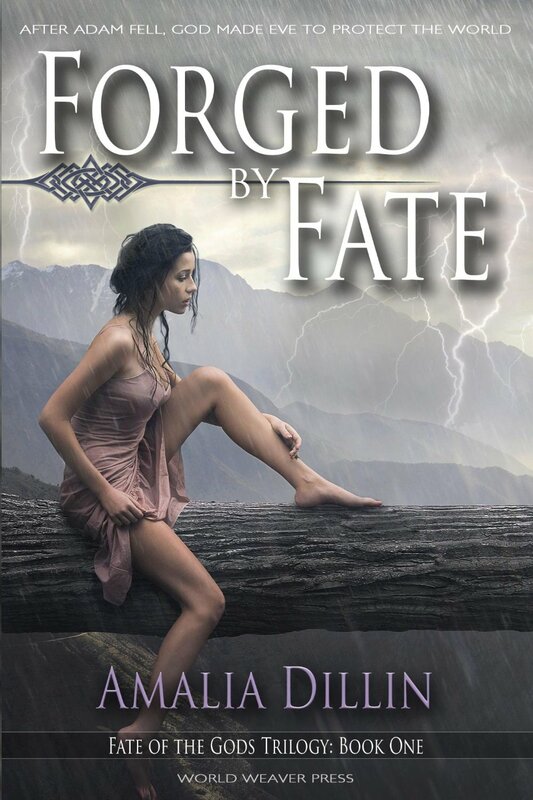 Purchase ‘Forged by Fate’ on Amazon. After Adam fell, God made Eve to protect the world. — Adam has pursued Eve since the dawn of creation, intent on using her power to create a new world and make himself its God. Throughout history, Eve has thwarted him, determined to protect the world and all of creation. Unknown to her, the Norse god Thor has been sent by the Council of Gods to keep her from Adam’s influence, and more, to protect the interests of the gods themselves. But this time, Adam is after something more than just Eve’s power—he desires her too, body and soul, even if it means the destruction of the world. Eve cannot allow it, but as one generation melds into the next, she begins to wonder if Adam might be a man she could love. Plot: I have many thoughts about this book. The twist on the Adam & Eve story is interesting, and I was curious to read it because I browsed through several reviews of it, and many said that even coming from a Christian standpoint, they were impressed with how accurate it was to the true Biblical account. All I can say is, I wonder how many of those people have actually read the entire Bible. Because with the exception of borrowed names… it was not accurate. There similarities, yes, but it was not accurate. I don’t have a problem with alternate history stories, let me say that right up front. Because this is definitely what it was. As a Christian, what I had a problem with was how the issue of Christ was handled. Because in this, Christ wasn’t the Son of God. He was the angel Gabriel in human form. And sorry, but that’s just a no. You cannot attempt to be respectful of other faiths in your writing and change the core tenants of that faith. Everything else was fine, even though I winced a little at Elohim’s ‘death’. And the idea that Elohim had created other people in the Garden of Eden besides Adam and Eve, but I could deal with that. The part with Christ/Gabriel was where I almost put the book down, because there’s some things that I can’t take that far, theology-wise. And honestly, it plays such a small part in the overall plot that it could have not been put in there. At least, so far. I’m not sure about following books, because I haven’t read them yet. That said, it is an artfully woven story, and I want to keep reading for Thor especially. Pacing: There were a few spots where I skimmed, but not very many. Writing Style: This book is a joy to read, for the pure act of reading. It was well-written and well-edited, and the words just flowed.